Crack your AP EAMCET 2019 exam easy way. Are your preparing for AP EAMCET 2019? Then, MPC is the right place for you, it lets you invest your time and efforts. There is a huge competition for AP EAMCET, a perfect preparation is very essential. So make the best use of your time and stay ahead of the competition, start practicing. 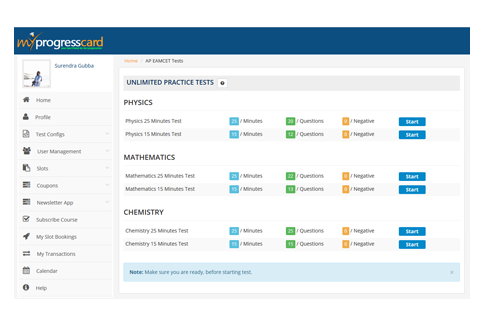 Myprogresscard helps you take subject-wise tests, gives instant feedback with detailed analysis. 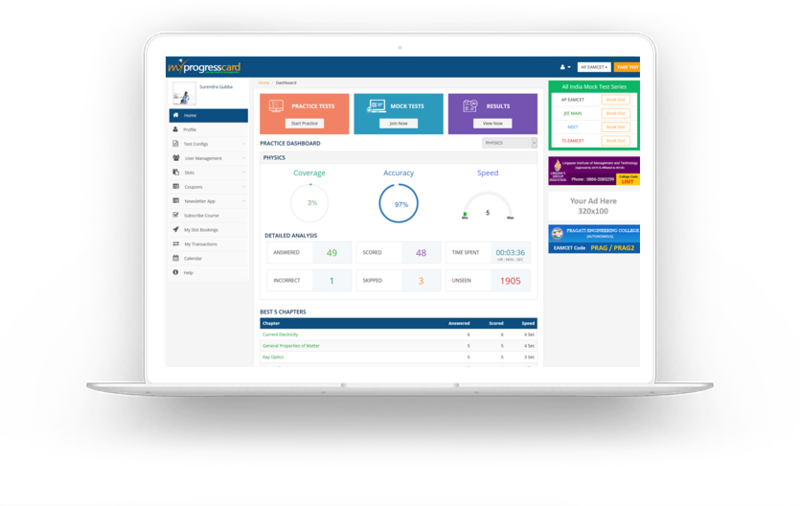 Within few steps, you can take practice test and get detailed analysis instantly. MPC gives a review on Attempted Questions, Correctly Answered, Negative Marks and Overall Score. 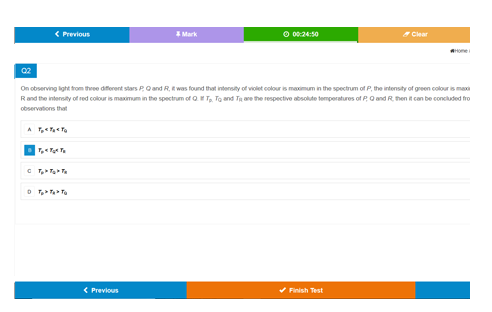 One you’re done with the practice session, you get the answers as well so you can crosscheck accordingly. To score top in AP EAMCET, it needs practicing right type of questions that covers latest exam syllabus & pattern. 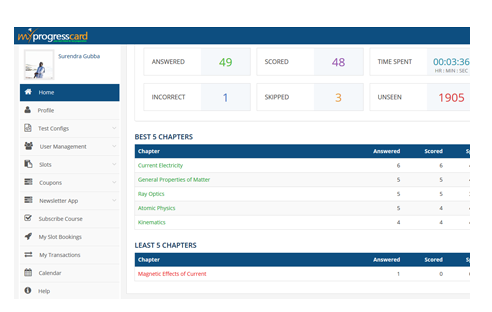 MPC comes with large sorted in-built question bank, which covers nearly 1 Lakh+ Questions ranging over all AP EAMCET. 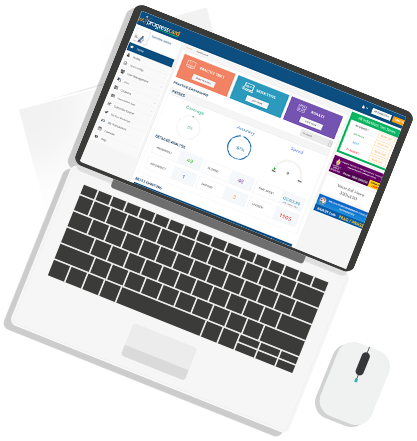 MPC’s question bank is designed and developed by educational experts, who are completely familiar with latest examination trends to deliver real exam experience. Getting ready to face AP EAMCET 2019 – Start your preparation with MPC and score top rank by doing unlimited practice.